German physician; born at Berlin Feb., 1848; M.D. Berlin, 1870. 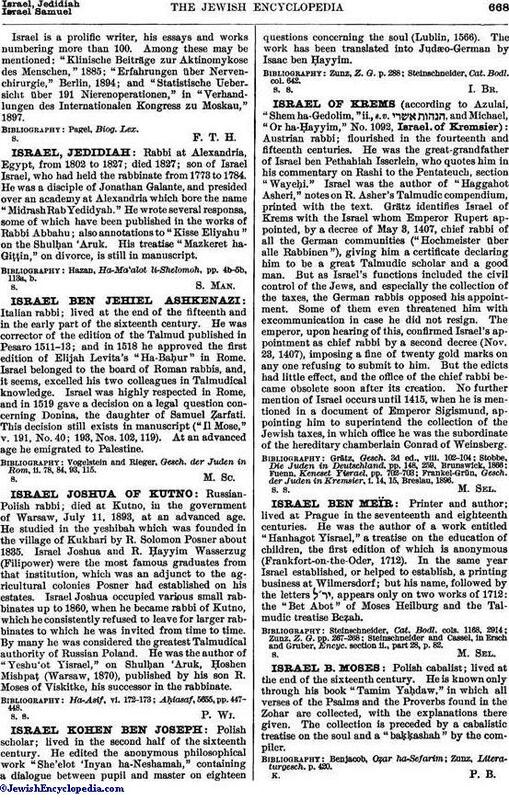 Settling in the German capital, he became in 1875 assistant surgeon at the Israelitish Hospital, and in 1880 chief surgeon. In 1894 he received the honorary title of professor. 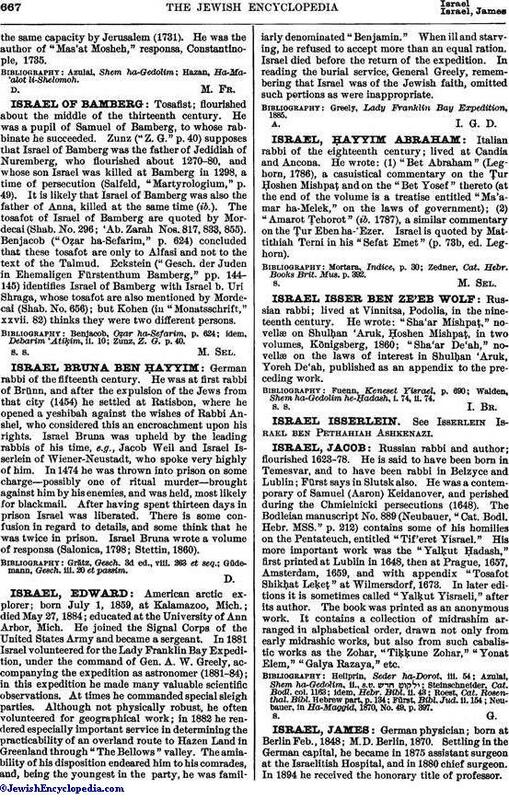 Israel is a prolific writer, his essays and works numbering more than 100. Among these may be mentioned: "Klinische Beiträge zur Aktinomykose des Menschen," 1885; "Erfahrungen über Nervenchirurgie," Berlin, 1894; and "Statistische Uebersicht über 191 Nierenoperationen," in "Verhandlungen des Internationalen Kongress zu Moskau," 1897.